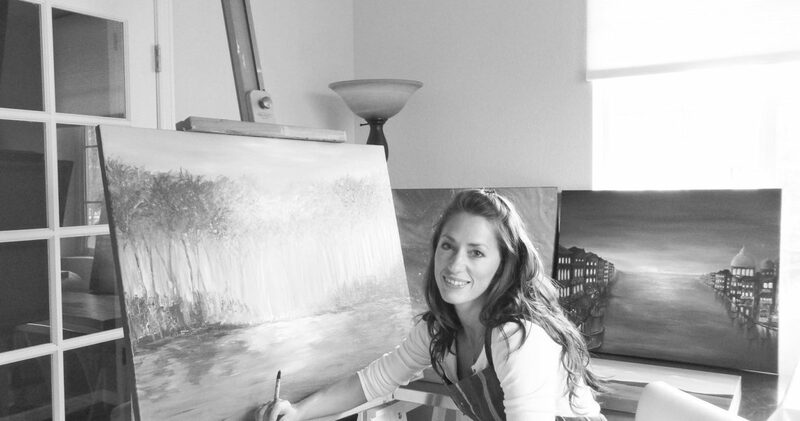 I handcraft one-of-a-kind original contemporary fine art paintings out of my art studio located in beautiful Colorado. I love painting! For me the most rewarding part of painting is to share a meaningful connection between art and collector. 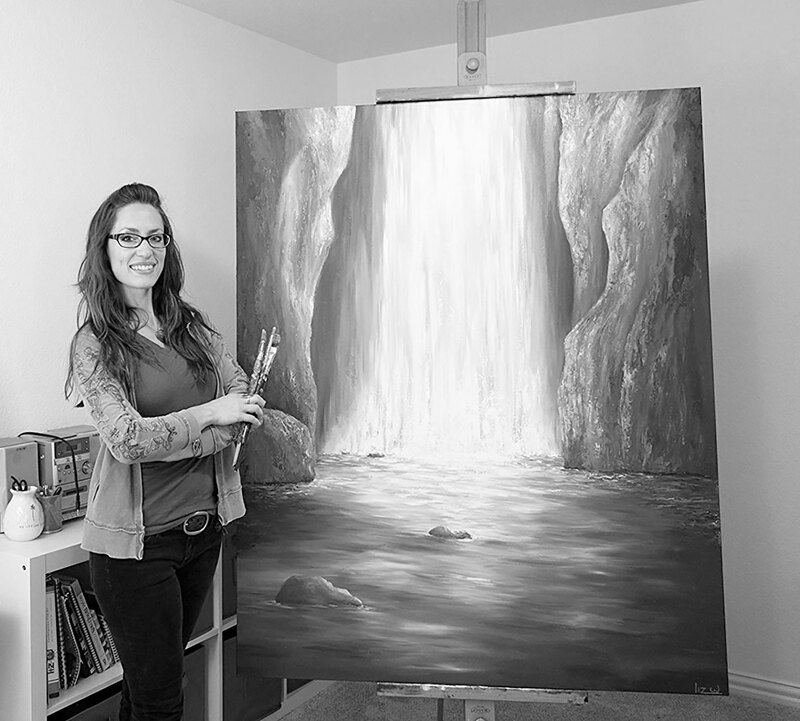 My paintings are often inspired by dreams, traveling, life experiences, music, and natural landscapes. I craft my paintings using a custom blend of primary colors which result in a vast array of tones unique to each artwork. “You can’t buy those colors out of a bottle”, I say laughing with collectors. My paintings are most influenced by etherealism, surrealism, semi-abstract, and abstract genres. Over my creative years I have been fortunate to develop a skilled eye for art composition. 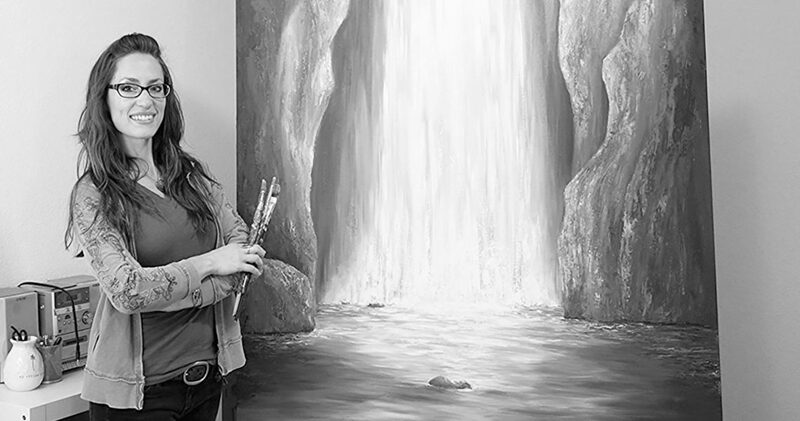 I have a knack for bringing life, movement, and a dream-like quality to my paintings. The arts have always strongly influenced my life. In my early years I performed as a company dancer with Olympic Ballet Theatre in Edmonds, WA and was featured in a plethora of professional ballets and choreographic pieces. When I wasn’t dancing I spent my time drawing and painting and dreaming of one day becoming a fine artist. 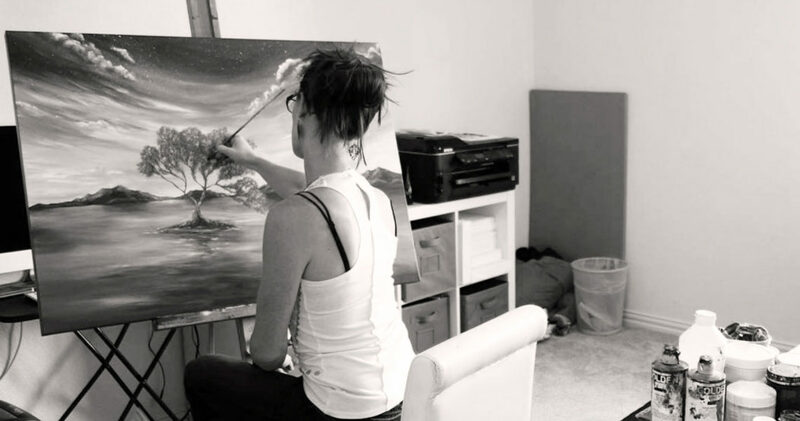 The fear of not being able to make it as a successful artist at first kept me from pursuing my dream. With advanced degrees in Design and Business Management I pursued a career in apparel and graphic design. I later evolved my creative and analytical skills into the field of user experience design. 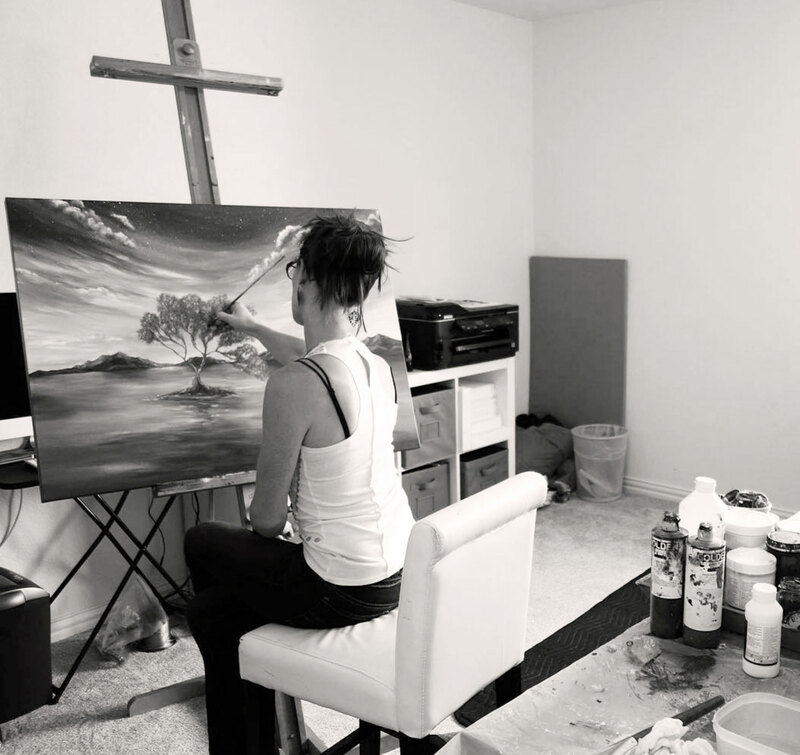 I never stopped dreaming of being a fine artist and finally gave myself the permission to pursue and evolve my craft. I opened Liz W Fine Art in 2010 successfully selling original paintings solely through word of mouth. Connecting people with meaningful art fuels my passion for painting. I begin each artwork with an inspiration: a place, or something I feel. Depending on the artwork I will sketch the composition onto the canvas. I hand-mix my paint from primary colors resulting in high quality pigments and color tones unique to each artwork. Then I apply the paint to the canvas like a dance using brushstrokes, texture, and occasionally mixed media. After hours of painting I will often stand back to observe the piece and determine if the subject emulates what I am seeking to communicate. Once satisfied with my work, I will let the paint dry and cure for multiple days. Once the painting has cured I apply multiple coats of UV gloss varnish to protect the artwork from light and dust for a lifetime of enjoyment. 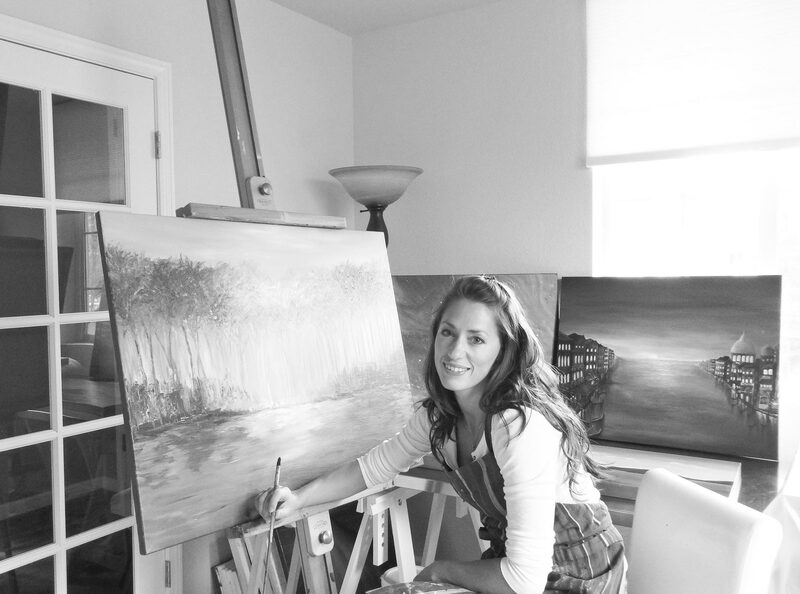 I am wholeheartedly committed to delivering exceptional art, service, and quality. My goal is to maintain and exceed client satisfaction. Only the finest quality professional grade acrylic paints and canvases are used. Acrylic paintings have a long life span and can be a great investment for the art connoisseur or first time art buyer. They can retain their radiance as long or longer than oil paints and are more resistant to aging.